I'm pleased to announce that the 2014 Ticketing Boards are open for business! 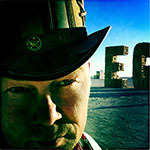 You can use them to buy or sell Burning Man tickets and Vehicle Passes. Please see this post for important information before posting your offers or pleas.